Where can Domain Authority be found? Domain Authority is commonly referred to as Page Authority which is basically a ranking model that is being employed and analysed by Search Engine Optimization companies all over the world. These machine-learning models are oriented towards predicting the prospects or likelihood of a particular web page or a domain being ranked in Google search results. The whole process does not pay heed to the type of content or its volume that is present on the web page. Google basically serves as the ruling authority when it comes to fixing Search Engine Result Pages (SERP) ranking. 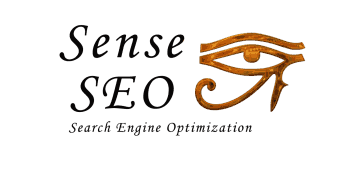 As it has been highlighted in the previous section that the primary function of domain authority is to give an estimated prediction regarding the performance that a website gives in its SERP rankings, thus this happens to be one of the most important target of Search Engine Optimization-oriented companies based on the web. It basically happens to be a calculated metric that calculates the prospects of a particular website or web page to feature in the first page of Google. This is basically a determining factor as per which, websites are ranked according to their earmarked potential. This can be used and employed by experts of Search Engine Optimization who can get an aesthetic review of the performance of their website along with other websites. Furthermore, it consists of mozTrust, mozRank, counts of links, etc. Domain authority makes use of a learning model of the machine which basically looks for the perfect algorithm that stands in correlation with the rankings out of thousands of other links. There are surfeit of online platforms and millions of websites which are trying to be featured on the first page of Google through effective Search Engine Optimization. Out of all of these marketing platforms based online, there are many which are incorporated with the metrics of Domain Authority. Incorporating Domain Authority in Search Engine Optimization goes a long way in determining the strength of the website and the number of backlinks that it generates. One can measure it with the help of MozBar or Open Site Explorer. SEOmoz’s free SEO-oriented toolbar can also be used for the same purpose. Almost all of the PRO Web App campaigns consist of Authority metrics and the same goes for Site Intelligence API. There is a 100-point logarithmic scale which is used as a reference in order to calculate Domain Authority score. This particular scale has a range of 1-100 points. Thus, if the Domain Authority score of a particular web page is high, then this points to the fact that the page has a very high potential of garnering a higher rank among other web pages. Thus, this logarithmic scale is widely used for calculation process by Search Engine Optimization companies. The calculation process is basically a compilation of the total number of links, linking root domains, mozTrust, mozRank and all other factors which influence a particular web page or website. All of these are brought into analysis during the calculation process and finally a single score is released on the basis of which, the page is ranked on search engine. People have always been curious about the methodology that Google employs in order to set the ranking of Search Engine Optimization entities on the web. The machine learning model holds the answer to that as it picks out the right algorithm through which websites and web pages are properly analysed and ranked accordingly. There are a total of 150 signals which are taken into account whilst the calculation process in order to make sure that the output is accurate and justifiable. Furthermore, the model which is employed by Google is basically refined on a daily basis in order to make sure that there are no compromises with any aspects of the process. Henceforth, facts stated above throw light on the thesis that there is a considerable amount of fluctuation in the Domain Authority score of a particular website which is one of the primary reasons why competitive metric is the best way for Domain Authority to be used for websites. Thus, the internal SEO efforts will somewhat demean once website owners are apprised with this new methodology. PageRank basically happens to be an indication from Google regarding a webpage and its importance. This is determined by the array of links that are a part of the Google’s webpage index. HomePage PageRank happens to be one of the primary positioning factors that Google takes into account in its algorithm. Most of the search engines in the present day and age place rankings on the basis of reputation as well as relevance of the web pages which in turn, depends directly on page authority as well as domain authority. Total authority of a particular web page is also referred to as Total Page Reputation. PR basically stands for the Page Ranking of the web page whereas HPR stands for website HomePage rank. There are basically two stages that come under the process through which Google determines the ranking of a particular page as per Domain Authority. These have been highlighted below. 1. It does the summation of each and every link that comes to the webpage. In order to determine the value of a page, dependency on the PR of the particular linking page is a must. Thus, value of the incoming links is basically divided by the value of the links that are going out of the page. 2. As it has been mentioned above that each and every page that has been indexed on Google is analysed only after keeping a check on the incoming links, this particular method eradicated any involvement of the anchor text or relevancy of the link and is derived mathematically. There is no grouping of the web pages as such. As a result, those who are well versed with the way in which Search Engine Optimization works will throw light on the fact that the amount of incoming links is much more important than the type or the volume of content that a web page has. Thus, for proper webpage positioning, there must be a good count of incoming links to the web page so that it can be featured in a higher position on Google’s SERP rankings. There are websites such as Facebook and Wikipedia which are always featured on the first page of Google owing to the quantity of incoming links that they record on a daily basis. Furthermore, all such domains that feature on the first page of a search engine carry some kind of authority which lifts them away from the positioning algorithms. Thus, when it comes to defining the term Domain Authority justifiably, it all becomes a matter of conjecture. Keyword-specific content happens to be one of the primary factors when it comes to effectual Search Engine Optimization of a page. There are certain keywords which are always in high demand whenever we search a particular website. Website owners need to know the latest trending keywords in order to showcase keyword-specific content on their page that is viewed by surfeit of visitors. Furthermore, having content with high trending keywords goes a long way in determining the rank of a web page as per SERP chart of Google. Most of the search engines tend to provide some form of boost to homepages which are having a high PageRank. All of these homepages are competing for keywords which are in high demand on search engines so that when someone searches for the keyword on a search engine, their links come first. This happens to be the primary agenda and aspiration of any person who owns a website specializing in Search Engine Optimized content. Domain Authority holds a high value for websites that are oriented towards having a better footfall of visitors. The algorithm has to be correct in order to attract plethora of incoming links which can give a better positioning to the domain on the web. Henceforth, Domain Authority plays a vital role in shaping up the ranking of a web page. Domain authority is one of the most important things when it comes to SEO. The term Domain authority (DA) was introduced by Moz. it’s given on a scale of 0 to 100 where the ranking depends on inbound and outbound links of a website. For your DA to improve you need to ensure that all the inner pages of your website are strongly built. You should also ensure that you optimize each of the pages for the specific keyword that you are targeting. To avoid repetition you should use different variations of the keyword that you are using. You should also ensure that all the linking phrases that you use have the same keywords and anchor text links attached to them. It’s recommended that you get as many external links from other websites as possible. Once all the links are in place, you should test them and ensure that they are functioning properly. Here you need to regularly create articles and publish them in your blog. Experts recommend that you should publish the articles every day. When creating the content you should ensure that it’s clickable. You should also ensure that the content is of high quality. Link diversity is an off-page concept that you need to understand for you to easily improve your Domain authority. For ideal results you should diversify the links by getting them from different sites and sources.So that each link that you use is calculated as a different entity. One great way of diversifying the links is by submitting quality content to different websites. If you are submitting a guest post to a website that allows two or three back links from the article that you are posting, you should point one link to any of your previous posts, another link to your home page and the final link to the most important category on the site. Although, it’s usually hard to create high quality back links, you should avoid using machines to build the links. The best way of going about it is creating the links manually. These are some of the best techniques that you can use to improve your DA. If you find that you can’t do it on your own, it’s highly recommended that you hire a professional to help you out.